From honey baked ham to easy slow cooker recipes, these hams will make a show-stopping centerpiece for any spring celebration. It isn't really Easter without filling festive baskets, decorating eggs and eating plenty of chocolate. 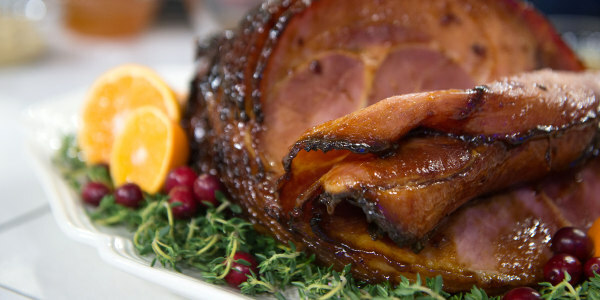 But the showpiece on many holiday brunch and dinner tables is usually a gorgeous, glazed ham. 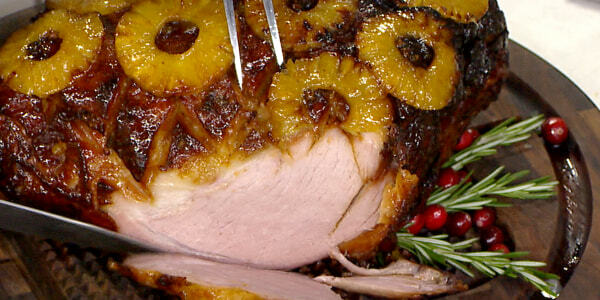 The sweet and savory flavor of ham has become synonymous with Easter (unless you're a vegetarian, of course!). Purchasing a prepared ham certainly saves time — HoneyBaked Ham sells millions over the holiday weekend — but making your own is easier than you think! We've rounded up seven of our favorite homemade ham recipes that will make the perfect centerpiece for your holiday table. It's hard to believe that just six ingredients combine to make such a knockout roast. The marmalade is citrusy, sweet and just a little bitter, the Sriracha is tangy and peppery, the ginger is sharp and spicy and the lemon juice balances out the sweetness of brown sugar with just the right amount of sour. 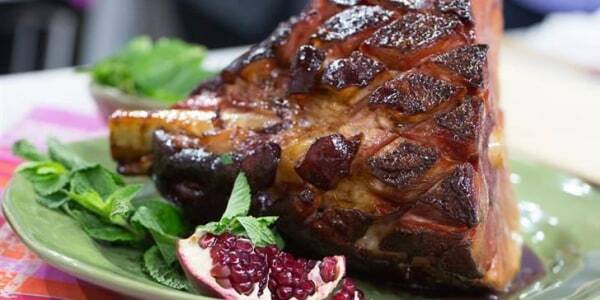 Cinnamon and star anise provide a warm spice to this delicious glaze, while pomegranate juice and honey add a subtle sweetness to this inspired ham roast. Sherry vinegar and mint round out the flavors for a fresher take on the classic dish. 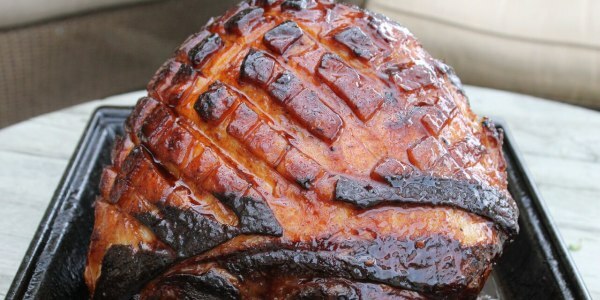 Serve this cola and brown sugar-glazed ham with Jezebel sauce. Why the funny name? It's called Jezebel sauce because it's easy to make and gets passed around more than an offering plate. If you're feeding a large crowd for the holidays (or just want to have plenty of leftovers), serve up this roasted ham with pineapple glaze and serve it with Brussels sprouts made with bacon and garlic. It's Al Roker family favorite! 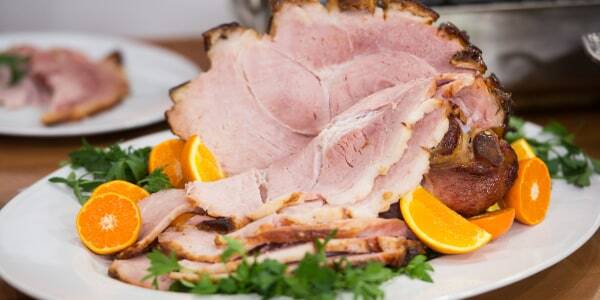 Serving a ham for your Easter buffet doesn't have to be a labor intensive process. Use your slow cooker to do the heavy lifting! This oh-so-simple method ensures a centerpiece-worthy dish that's tender and full of flavor — never dry or overcooked. Topped with a sweetly spiced mustard glaze, every slice is dressed to impress. There are few aromas better than the smell of homemade ham wafting through the house as it cooks. Some ham recipes use a very sweet coating, but this one has a bit of heat from red pepper and ginger. The fragrant, fruity notes are amped up from orange zest and pineapple juice. Smelling this ham is believing. 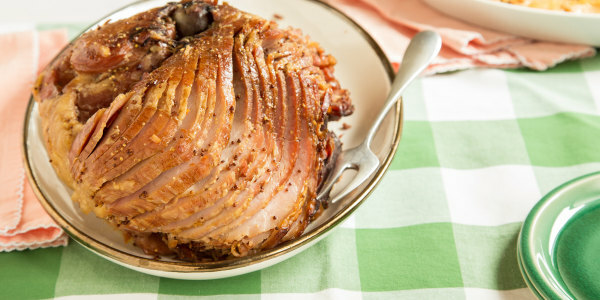 This ham does not require a lot of prep, it feeds a big crowd and is great served warm or at room temperature. 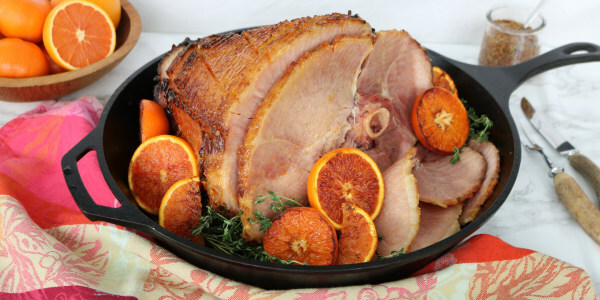 It's delicious because the ham gets loads of flavor from the orange and thyme. Many recipes for traditional honey-baked hams use up to two cups of brown sugar or honey to sweeten the meat. By using juicy oranges, you'll still get a delightful sweetness but save a lot of extra calories.